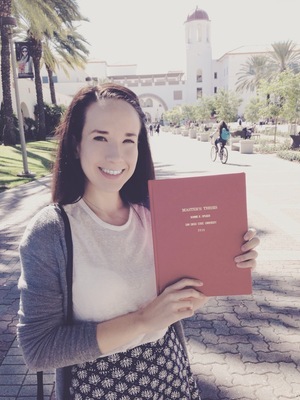 Bonnie Opliger received her BA and MA from San Diego State University where she completed an MA thesis on monstrosity, madness and feminism in Gothic and Neo-Gothic texts. She is currently writing on racialized comedic sidekicks in Disney fairytale adaptations as well as theories of urban and suburban space in horror films that address the African American experience. Moving forward she is interested in expanding her knowledge of literary history, narrative theory and the digital humanities. She currently works as a LASER mentor at Centennial High School. Opliger, Bonnie Rose. "Review of Crimson Peak by Guillermo del Toro." Chiricú Journal: Latina/o Literatures, Arts, and Cultures, vol. 1 no. 1, 2016, pp. 158-160. Opliger, Bonnie, et al., editors. pacificREVIEW: A West Coast Arts Review Annual (Lurking Anonymity), San Diego State University Press, 2016.